This is Moon Phase Watch where you can have the moon phase indicator. With this indicator you can know about the lunar phase. The body of this watch is made up of stainless steel case and bracelet. The case of this watch is round in shape and it gives the feel of a cool moon. The dial is having three sub dials and a moon phase indicator. 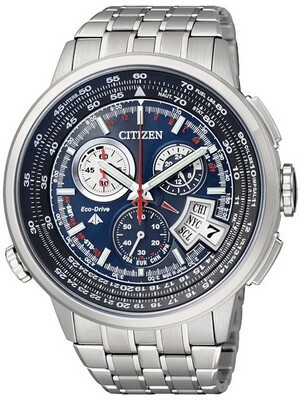 These small dial makes this Citizen Ecodrive Watch more charming and perfect for efficient time keeping. The first mini dial shows the day, second shows the month and third shows the date. The Brown background color of this watch is very attractive. The glass over the dial is made up of sapphire crystal which makes it scratch resistant and gives crystal clear view. 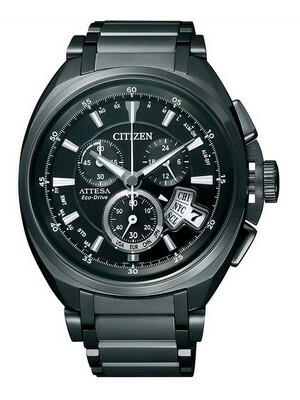 This Citizenwatch is also water resistant up to 100 meters i.e. 330 feet of depth, which is sufficient enough for normal conditions. 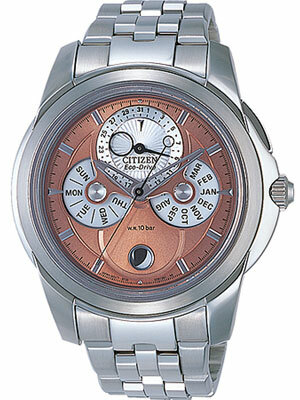 This Moonphase Watch is blessed with the power of Eco Drive which runs on solar energy. This is one of the eco friendly ways of science. This mechanism is made in Japan and the caliber of this watch is 8730. The advantage of eco drive is that you never need to change the battery. If you place this Ecodrive Watch in dark, its power reserve get in use. The power reserve of this watch is approximately 6 months. The diameter of the case is 42mm and its thickness is 9mm. So all the wrist watch lovers, if you are looking for a wrist watch to do everything then you must go for this watch. This watch is available for US $279.00 with us. Next post Newsletter: Citizen Women’s Mother of Peal Chrono Eco watch on sale!